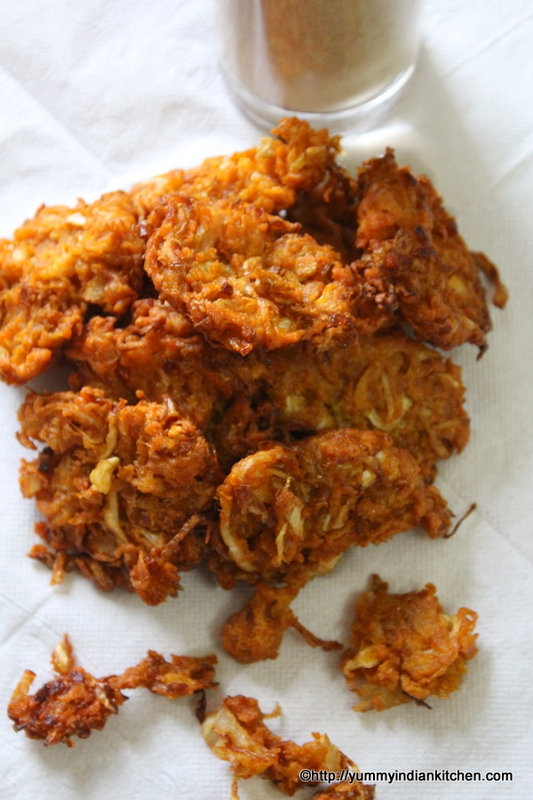 Cabbage pakora is something that can be tried during cold evenings and have it with a cup of tea. 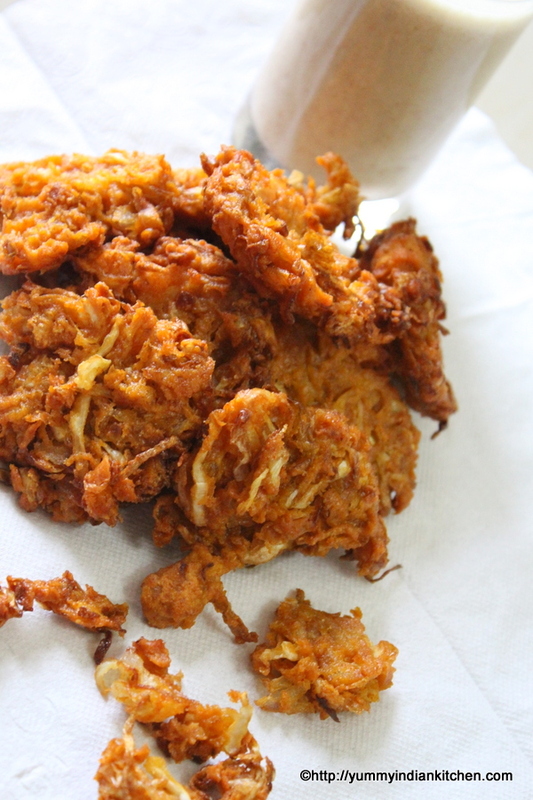 The shredded cabbage that is used gives the texture of the onion pakoda and it can be made instantly and does not take time to make the fritters. This is a perfect Ramadan iftar snack recipe and is quite simple in making. 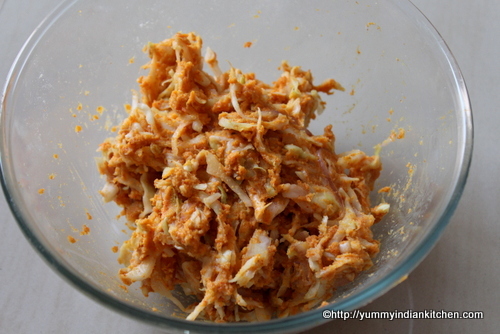 All we need is cabbage, few shredded onions, dry spices and oil for deep frying. 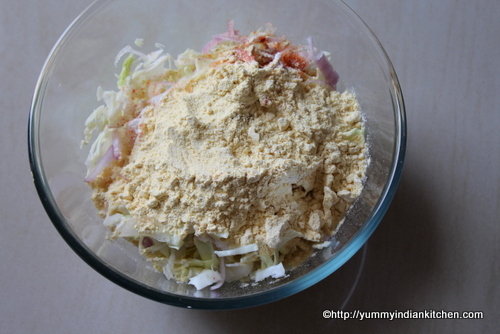 Firstly, in a mixing bowl, add the shredded cabbage, add the shredded onions, rice flour, chick pea flour/besan. Into it add salt, red chilli powder, turmeric powder, roasted coriander seeds powder, cooking soda. Also add carom seeds/ajwain, 1 tsp oil and knead the mixture well with hands. Add or sprinkle few drops of water and knead well. Take a portion of the cabbage pakoda batter with the help of fingers, press and flatten a bit and drop them in oil one by one. Take the fried pakodas out. Serve them on a tissue paper. Serve them hot with tea or chutney!!! 1. Never add too much of water into the pakoda batter. 2.Always sprinkle water in the form of drops and knead. 3.Adding water in more quantity spoils the texture of the pakodas. 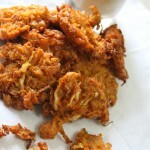 4.Adding rice flour gives crispy touch to the pakoda.